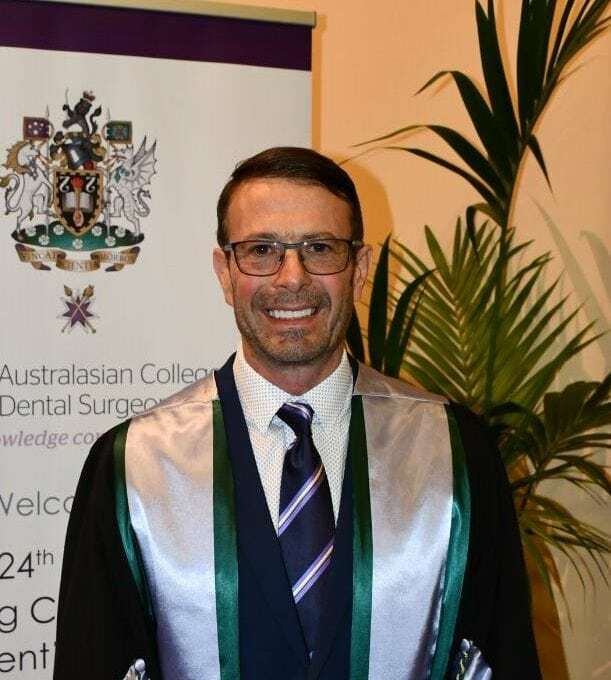 As a member of The Royal Australasian College of Dental Surgeons, Dr Taft aims to give the best quality of evidence-based dentistry to all his patients. The MRACDS (GDP) program is a two to three year structured educational learning program for qualified General Dental Practitioners (GDPs) that aims to provide an ongoing high standard of patient management, diagnosis and treatment for the benefit of the community. This program is an internationally verified qualification that shows the practitioner has broad skills and knowledge in general practice that is recognised by the college and the peers in his profession. The practitioner is committed to evidence based practice for the benefit of his practice, patients and local community. They have a structured and committed approach to Continuing Professional Development (CPD). Membership is a level of achievement in the progression of professional development with the RACDS. Maintains high ethical standards and is a role model for others in the profession. Is a skilled and highly competent practitioner who has a broad base of experience in general dental practice. Has breadth and depth of comprehensive scientific knowledge relevant to the practice of dentistry. Through comprehensive study and assessment has shown that this knowledge can be applied in clinical problem solving scenarios with proven ability in treatment planning and risk management that promotes better treatment outcomes. 5) Is committed to long-term professional development; including hands on courses, lectures and journal reading over 60 hours/year which is the minimum requirement to stay a member. This is treble the amount of the Dental Board of Australia minimum guidelines (60 hours over 3 years). As Dr Taft is passionate about dentistry he actually does in excess of 120 hours CPD a year currently.